Me109s of 5/JG27 shoot down the Bristol Bombay of 216 Sqn carrying Lt Gen William Gott who had just been appointed commander of the 8th Army. His death in the ensuing crash landing left Churchill searching for a replacement in the form of the little known Bernard Montgomery. 7th August 1942. 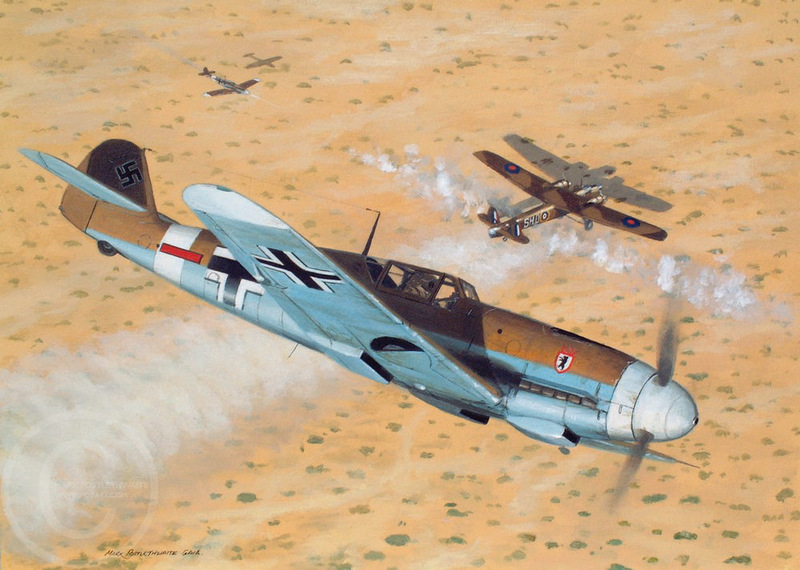 The original was painted for the cover of Osprey's JG27 in their Elite Units series.